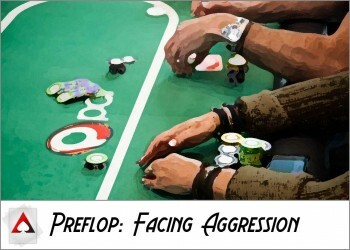 Through our discussion of pre-flop play in the previous parts of this series, we saw that play was almost entirely about our opponent’s range and which plays we can use in different situations based on position and betting. We’re now going to switch our focus to post-flop play, and you’re going to find that this is much less centered around the pure values of the ranges that you and your opponent might hold. 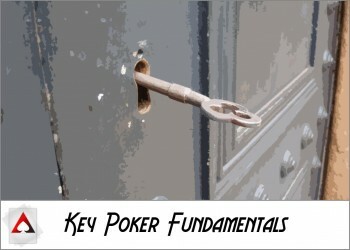 Instead, it’s centered around how those ranges hit the flop and what types of hands you and your opponent can have as a result. It all starts with understanding the “lay of the land,” so to speak. You need to have a firm understanding of the type of situation that the community cards create for you before you do much of anything in terms of post-flop play. It’s also very difficult to plan far ahead in the hand until you’ve actually seen the flop because that represents almost half of the cards in your hand coming all on one betting street. Along these lines, we’re going to break down some key characteristics of flops and what they should mean to you when you’re playing. High-Card Flops vs. Low-Card Flops: For our purposes, if a flop has a card jack or higher on it, then it’s a high-card flop. If it’s doesn’t, then it’s a low-card flop. 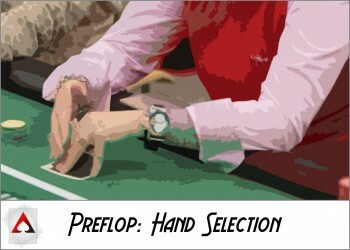 Whether a flop is high or low tells you a lot about the ability for players to make large pairs because most people raise preflop with hands like AJ, KQ and better to try to make those hands. If no cards jack or higher hit, then it drastically changes their ability to have made top pair type hands, and it also means they likely have several hands in their range that completely missed the flop. Rainbow Flops vs. Two-Tone Flops: A rainbow flop means that all three suits of the three cards are different, and there are no flush draws available. 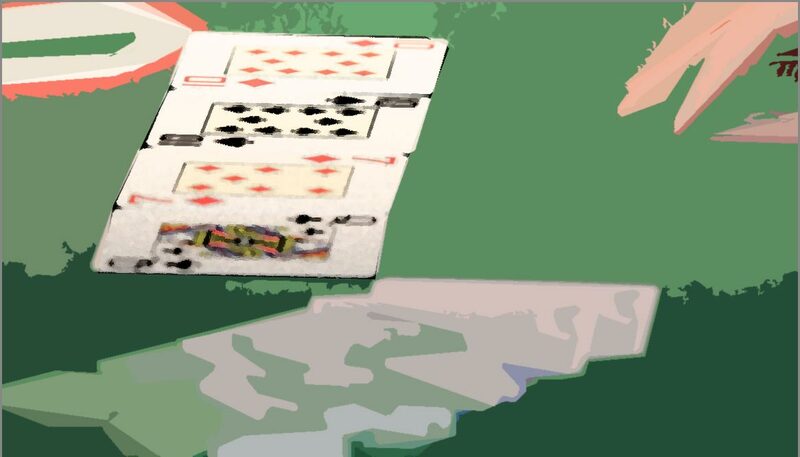 A two-tone flop means that two of the cards have the same suit. When there is a two-tone flop, there are more chances for flush draws, and you have to be a little more aggressive with your made hands to keep from giving your opponent a simple profitable call. 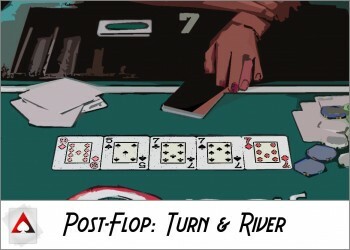 Flush draws are easier to see on the flop than straight draws are, but connected flops can have a similar dynamic. Monotone Flops: These are flops where all three cards are of the same suit. You have to adjust your play here because the only strong hands are flopped flushes, which are vulnerable to being out-drawn, flopped sets and high pairs with a high flush draw. Paired Flops: Another special case flop scenario is when there’s a pair or three of a kind on the flop. This makes it more difficult to actually hit the flop, but you make a stronger hand when you do. Keep in mind that opponents will tend to miss these flops more often. 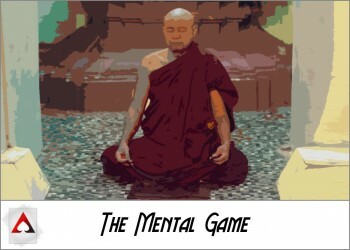 Whenever you make a bet with a made hand, you’re setting a price for your opponent to call. This determines the odds that your opponent will be getting on a call if he or she happens to have a draw. The scenario where you have a made hand like top pair and are facing an opponent with a draw is one of the most basic post-flop situations to study. Suppose you have top pair on the flop, and your opponent has a nine-out flush draw. If the pot is $10 and you bet $5, then the pot will be $15 to your opponent with $5 to call and see the turn. This gives immediate pot odds of 15:5, or 3:1. The chances of your opponent actually hitting the flush are about 4:1. This means for every dollar your opponent calls, he or she must make back a minimum of $4 to have a profitable call. Since it’s a call for $5, a total of $20 would have to be made when the flush draw hits, and you’ve already given them $15 from the pot. It would be easy to think that your opponent could make $5 more on top of that on average between the turn and the river if the flush draw hits, so you’re giving them a profitable flush draw by betting so little. 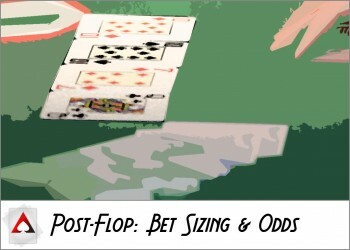 When you’re deciding on a post-flop bet size, you need to think of a few pieces of information. First, you look at the texture of the board. Second, you look at how your opponent’s range mixes with that board. Third, you think ahead to the next street to make sure you’re not going to leave yourself with an awkward pot size compared to the remaining stacks. As a general rule, betting about two-thirds of the pot is a good rule of thumb with made hands on boards without draws available, and betting about three-fourths of the pot is a good rule of thumb with made hands on boards with flush and/or straight draws. However, these guidelines need to be adjusted in different types of situations based on what your opponent could actually have. For example, suppose an opponent open-raises from early position pre-flop, you call in late position with 99, and you are the only two to see the flop of Ts9s4d. Your opponent probably had a hard time making top pair since this is a decidedly low-card flop. However, there are lots of available flush draws and lots of available straight draws (especially with overcards) from hands like KQ and QJ that your opponent could definitely have. Along these lines, you should bet and raise strong with your flopped set of nines since it’s so easy for your opponent to have a draw. 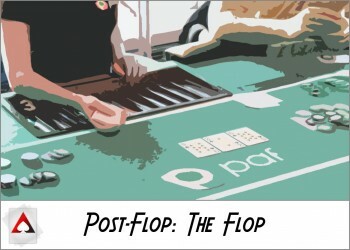 Flop texture and bet sizing are the two key components of a good post-flop foundation. 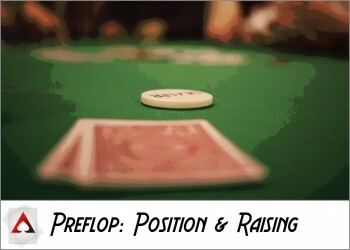 In our next section for Post-Flop Basics II, we’re going to use this foundation to build practical knowledge of how to play in common post-flop situations. 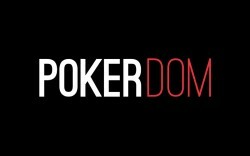 This article is part 5 of an 8 part series from New Player Guide: A Shortcut to Playing Better Poker. You can navigate to the next article below, or choose a specific article from the series.